Our corporate goal is for “Zero Defects”, backed by intensive training and comprehensive written procedures. As such, Inventive Label has a reputation of providing the highest quality, even on complex, difficult to produce, specialty label products. In the unlikely event of a product defect, we have developed a full spectrum system to quickly identify and isolate any defects both during the production process and, if the product has shipped, at the customer’s facility. 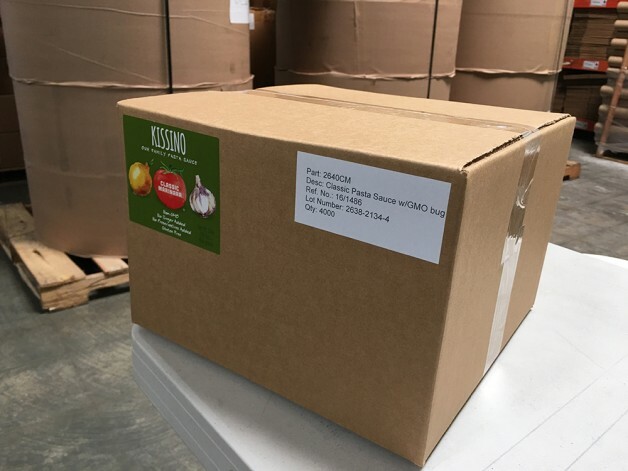 Every carton has a Carton ID label on it, such as the one in the photo. Every finished roll also has a Core ID label (with appropriate exceptions). These ID labels include a “Lot Number”. Press run retains are also identified with the identical lot number and affixed to the production work order for filing. The format of the Lot Number contains various segments (for example: 2638-2134-4). The first segment is the Item number, the second is the Work Order number, and the third segment is the press roll number. With this information, we can now track each finished roll down to the actual press roll produced. If there is a defect reported, we are able to easily identify any neighboring rolls that may be affected by referencing the production retains. The photo entitled “Press Log” shows how we now can track the operator, press, date and time of production for each and every press roll. For example, the rolls in the pictured carton were produced on press June 16th at 11:08 am. As it was press roll #4, we can see that it was towards the end of the press run. Other information, not shown, can also be deduced from the log. This new automated system has not added any significant labor overhead to the operator’s duties. The operator simply clicks a button, 2 labels are automatically printed and then affixed to the roll and retain. The inspection person’s job actually got slightly easier as the core and carton label printing function was made more efficient. Automation + Systems + Procedures = Quality control. It’s that simple!